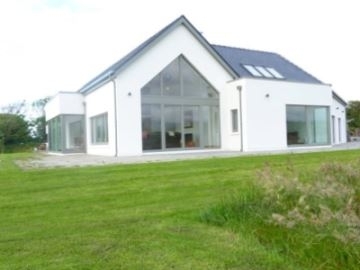 Architecturally designed home in the North Kerry with the following features. Ground Source Heat Pump 17kw & Horizontal Collector. 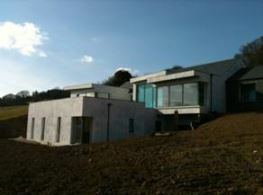 Floor area 340m2, with 240mm external insulation and roof system by Thermohouse in Co. Kerry. Compact P – Geo6 geothermal heat pump and underfloor with gas fire inset in living room.